Even out pigmentation-prone skin with Eucerin Hyperpigmentation skincare, a targeted range of brightening products. Created to disperse pockets of melanin over-production and create a more uniform-looking complexion after UV overexposure, hormonal influences and oxidative stress, each product contributes to an even skin tone. 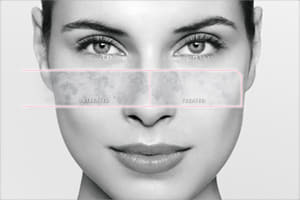 The dark patches and age spots appear of all skin tones appear reduced, and the complexion is fresh and rejuvenated.